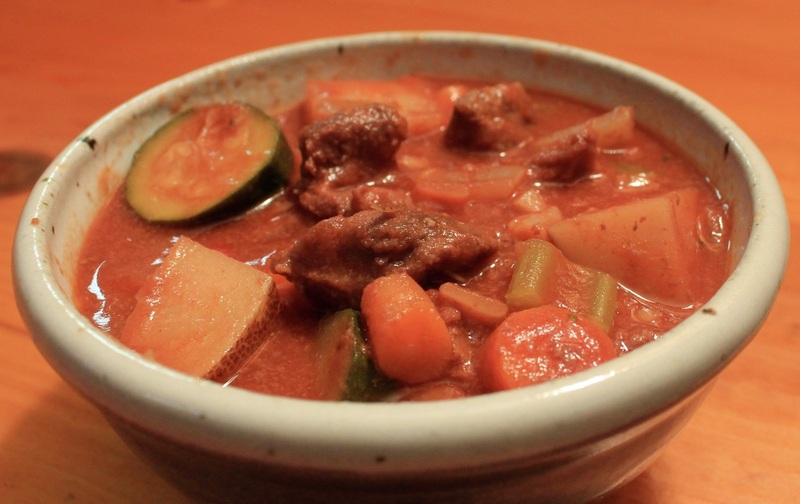 Wonderfully hearty beef stew has thick chunks of beef and vegetables. It's a great way to keep warm on a cold wintery day. Add the oil to the bottom of a slow cooker and add garlic, onions, and beef mixing well. Add the rest of the ingredients, stir well, cover, and set the slow cooker to the high setting.